A regional SkillsUSA Competition recently took place at the Vernal Uintah Basin Tech campus. 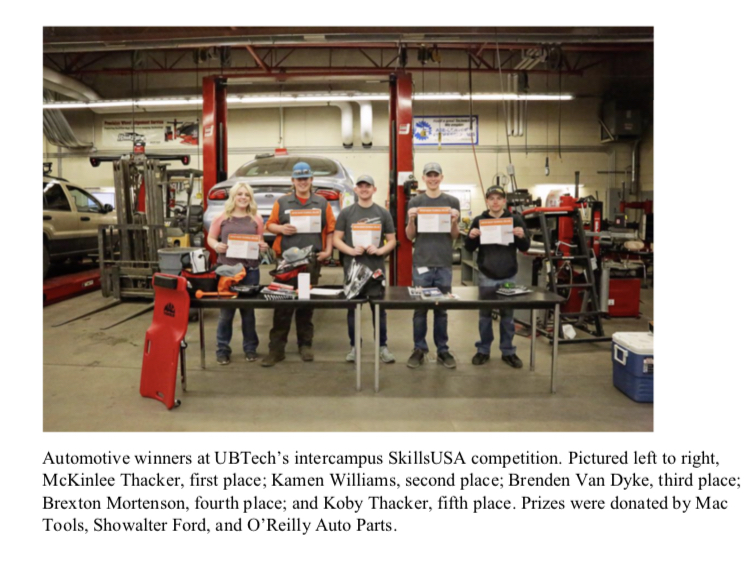 The Automotive, Welding, and Carpentry programs from both campuses competed to showcase the skills they developed as local industry served as judges and donated prizes. The competitions had welders competing individually in two divisions: beginning and advanced. The Automotive students went head to head. The Carpentry students competed in two-man teams which included both secondary and adult students. In welding, the first place winner in beginning was Treven Timothy. For the advanced division it was Dalton Van. The Automotive winner was McKinlee Thacker. 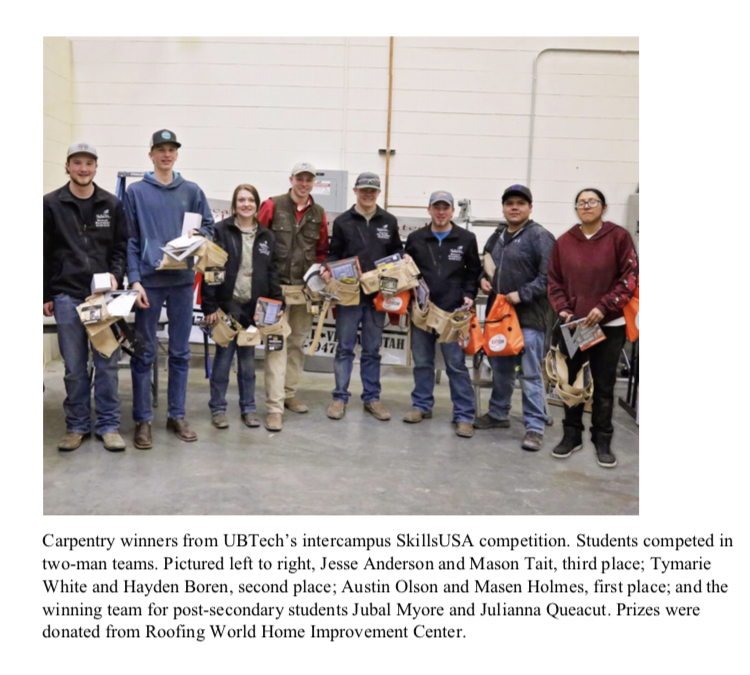 The secondary Carpentry winners were Austin Olson and Masen Holmes while Jubal Myore and Julianna Queacut won for post-secondary students. Just for fun and not associated with the SkillsUSA Competition was a CDL competition with Jace Prather taking the 90-degree backing and Pete Butcher taking first for pre-trip evaluation. Winners will go on to the state competition.